“Eat the same rations as a Syrian refugee for Refugee Week,” the Facebook advertisement invited. Like all good advertising, it scrolled up my screen several times and eventually grabbed my attention. I’ve only really been aware of asylum seekers and refugees since 2014. Before that, I had vague notions of people who had been displaced from their homes because of war or violence or persecution, but didn’t have much understanding of what that would mean on a day-to-day basis. I hadn’t, for example, thought about what people would eat or whether they might go hungry. 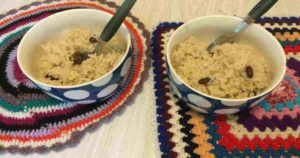 Once I signed up for the Act for Peace Ration Challenge, I was sent a Toolkit – poster, stories from refugees, FAQs, ration list, recipes, rules, rewards, fundraising instructions, and other ideas for the week. I decided to document my challenge on Facebook, to raise awareness and rally support. This is me, smiling with my week’s rations! Rice for breakfast and lunch; flat bread for morning tea. Thanks to supporters, I can add 170g to my week’s rations (roughly the equivalent of an additional banana), so it’s curried rice for dinner with 60g of spinach and tomato. The overall campaign has raised $1.4 million so far, enough to feed 5,000 refugees for a year! Rice for breakfast and lunch. 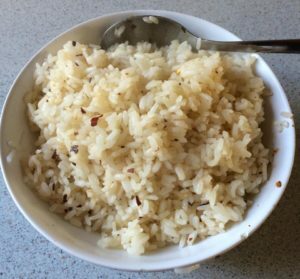 Rice for breakfast, lunch and dinner, flavoured with curry powder and hummus. I’m a teacher. It’s lunch-time and I’m in the staff room marking…where the cake is! I’m feeling sorry for myself, with hunger pains, tiredness, and forgetfulness. But then I look at some stories in my campaign handbook. Some people have to live on these rations indefinitely. 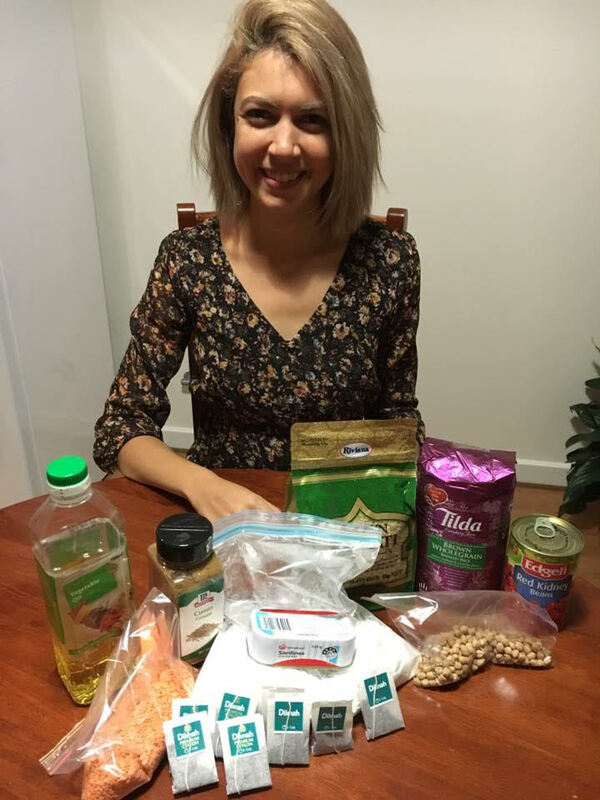 One Syrian woman says she prays that no one in Australia will ever have to live like they do. I am humbled and grateful to share a small part of her life, and millions of other lives. Rice for breakfast, lunch, dinner. This Saturday I’m going to our headmaster’s thirtieth anniversary at the school and also his retirement goodbye lunch. It’s very special and I don’t know whether I should eat or not. Eat rations and spread awareness of the ration challenge. After thinking and listening to everyone’s ideas about the headmaster’s lunch tomorrow, I’m going to eat rations. I’m on rations like a refugee, so I’m going to continue to eat like a refugee. Thanks to those who voted for me to eat lunch. I know you care about me, but I have holidays coming up to rebuild – something refugees don’t get. My total is now up to $787, thanks to my three offline donators today. Not far to go to get to $1000. 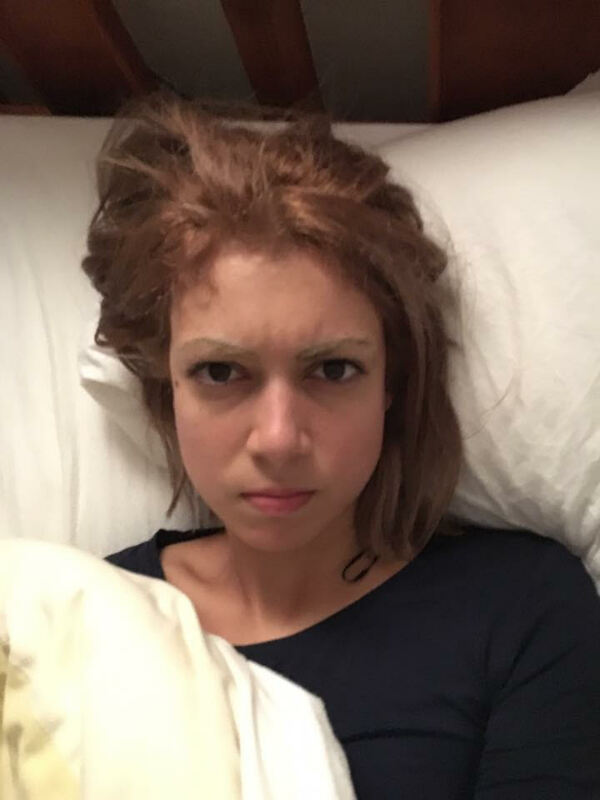 I’m in bed feeling miserable and hangry and fed up with rice. I’m so freakin’ over it, and need encouragement. If I get to $1000, I can spend $5 on an item of food of my choice. I’ll spend it tomorrow when I go out with my mum who’s visiting. Even if you can’t donate, you can still help by encouraging me and urging me on. I couldn’t do this without you. Seriously. Imagine what it must be like for people living like this for months and years! Okay, I have a confession. I had a bite of witchetty grub today. I’m telling you…it was delicious. I was out with my mother and some Ntaria friends who had been out all day collecting them for us, so I could hardly refuse! The penalty for eating non-ration food is $50, so I’ll pay it! When else am I going to have the opportunity to have witchetty grub? I survived the week, but it wasn’t easy. The ration challenge put me in the shoes of a person halfway across the world, while staying within my own world. Colleagues and friends were able to glimpse a tiny part of a refugee’s life of hardship, juxtaposed against the trappings of our own relative comfort and prosperity. When those around me saw me suffer, they suffered too and were motivated to help. The experience helped me to see that people care after all. Sometimes I get angry when people are ignorant of the suffering of refugees and asylum seekers, but in a way the ration challenge has helped to restore my faith in humanity. Suddenly friends and family did have a point of reference, and that was me. Rather than simply standing by, they donated to the campaign; because no one should have to go without food. 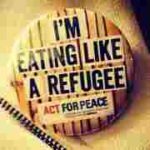 I’ve learnt a lot from my week on the refugee ration challenge. I’m also grateful to all who sponsored me, and happy to have raised $1264.00 to support the cause. The total raised by more than 8000 participants was $2,039,463.00 – enough to feed 7310 refugees for a year. Some people might also be interested in pre-registering for the 2017 ration challenge and also this ShareTheMeal smartphone app which makes it possible to feed Syrian refugee children in Jordan. Embedding the Facebook post that promoted this website post to preserve the discussion and data.